Our 2017 boilermaker stout is the first to be cask-aged. A very limited rare release! 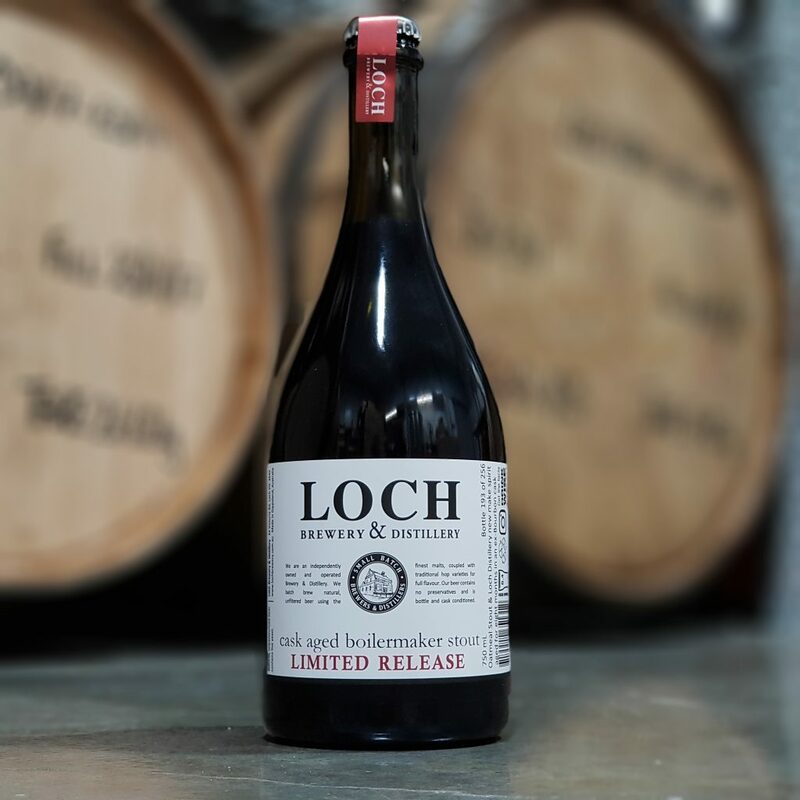 A blend of the 2017 Loch Brewery Oatmeal Stout with Dark Ale new-make malt spirit, straight from our whisky still. This boilermaker blend was aged for over eight months in a two-hundred litre ex-bourbon cask. Best served in a large glass at 14 degrees Celsius, minimum. A special blend of our 2017 Oatmeal Stout with sweet Dark Ale new-make malt spirit, straight from our whisky still. Aged for eight months in an ex-bourbon cask. 700ml | 29.1% alc/vol 2018 Satsuma Gin Liqueur A blend of this year's crop of Loch Distillery grown Satsuma blood plums with our Gin Liqueur. This liqueur is a unique combination of the delicate Satsuma aroma & flavour which has integrated beautifully with our Gin Liqueur. We recommend to drink neat over ice!